I often compare composing music like a painter who fills the blank canvas coats, adding new layers and colours, corrects, adding more layers that slowly visualize a image. Finally we see the landscape appear. Sverre Knut Johansen was born in 1960 and is from Mo i Rana, Norway. Sverre’s first electronic album in 1994 and was produced by Erik Wøllo on the Norwegian label Origo Sound. In 1999, he released The Source of Energy, followed by Planets in 2012. 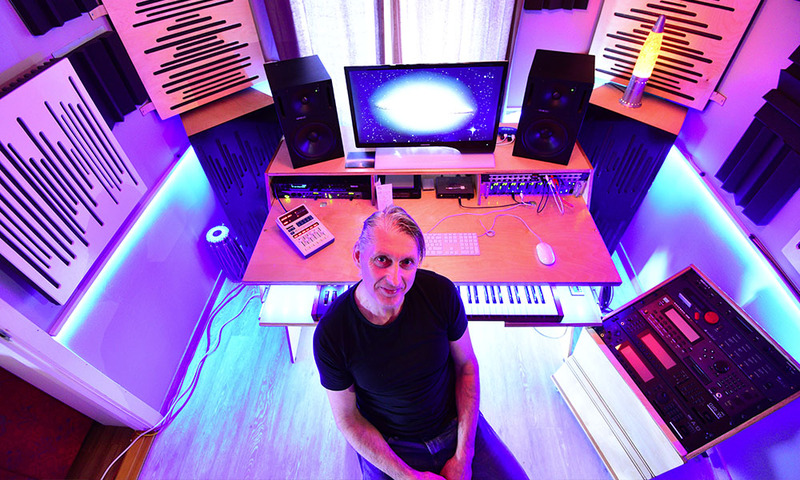 Sverre began distributing his music in 2013 on his own Origin Music label for download and streaming. The music of Sverre has always had rich content and strong melodic elements that have become his trademark. Symphonic electronic music dominated the first releases but his more recent releases vary widely in style, as Sverre makes music that is both lyrical and rhythmic and often with elements of classical and electronic ambient music genres.